In my first few months at Ramah Darom, many members of our community have shared personal stories about our organization’s rich history. I’ve had the great fortune to meet several of our original founders and have heard countless anecdotes about so many others including three very special men: Leonard Kaplan (z”l), Mayer ”Bubba” Mitchell (z”l) and Sol Singer (z”l). Leonard, Bubba and Sol and our other visionary founders truly paved the way for our organization. It’s because of their tenacity, their entrepreneurial spirit and their unwavering commitment that Ramah Darom now serves thousands of Jews from across the southeast and around the world every year. 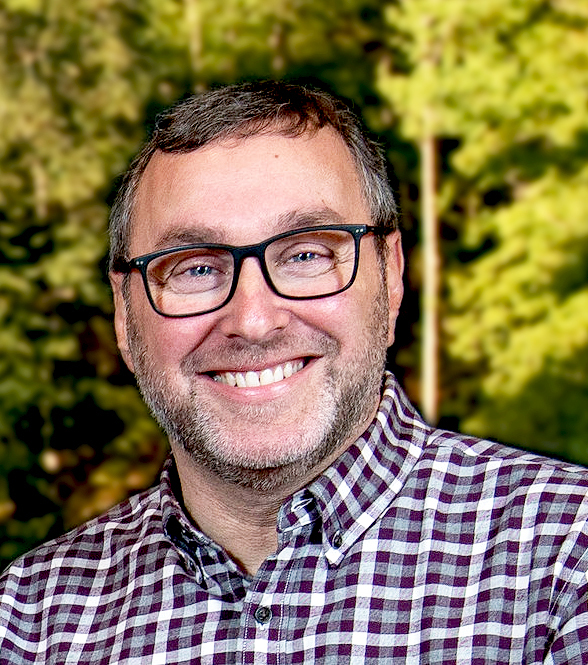 Today, almost a quarter century after the original groundbreaking in Clayton, we have some exciting news to share about our campus – a major development that demonstrates how Ramah Darom continues to greatly benefit from our founders’ vision. 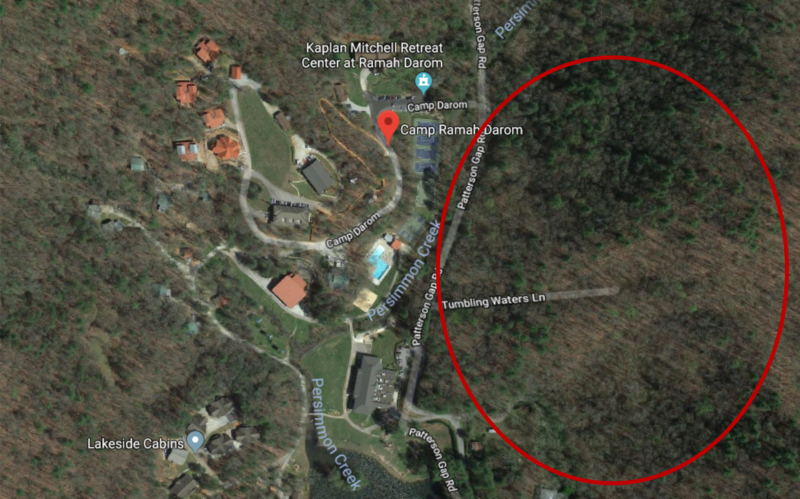 Ramah Darom purchased our current property, the site of the former Tumbling Waters Camp, from Susan Rogers and Catherine Sales in 1996. The women held on to the 45 acres directly across the street – 134 Tumbling Waters Lane – and lived there for many years. I’m told our staff often spotted them coming down the driveway on their golf cart to collect the mail. Our founders always envisioned a day when Ramah Darom would operate on both sides of Persimmon Road. With that in mind, our original deed of sale included a clause stipulating that if the land across the street ever became available, Ramah Darom would have right of first refusal to purchase it. Almost 25 years later, I’m thrilled to let you know that in May Ramah Darom will own that additional 45-acre property. It includes two large guesthouses, an 1897 heritage home and plenty of untouched land up the side of the mountain. Once the acquisition is complete Ramah Darom will occupy almost 200 acres in Clayton, surrounded by National Forest land. We are indebted to Eric Singer (Sol’s son), Effie Spielman and Fred Levick who have been working on this important land purchase for almost a year. We are now beginning a targeted campaign to raise funds to pay for this milestone acquisition. If you’d like to support our fundraising efforts, please contact Sharon Rosenfeld at srosenfeld@ramahdarom.org. Thanks to the generosity of an anonymous donor, every dollar we raise for this acquisition will be matched dollar-for-dollar. We are very grateful to our donor for their commitment to Ramah Darom and invite other members of our community to support our capital fund to enable this important purchase. The obvious next question is: What are we going to do with the new property? The immediate answer: We’re not sure yet. The Board of Directors has established a Strategic Planning Committee chaired by Elise Lipoff-Mayer, our Vice President. Over the next few months we’ll establish long-term objectives for the next phase of growth of Ramah Darom and as part of that process, look at opportunities to develop the new land. All options are on the table. We will report back to our Ramah Darom community once plans are more firmly in place. Ramah Darom is indeed indebted to our founders who had a vision to establish a central meeting place for Jews from across the southeast. As we move into our next exciting phase of growth, we look forward to building on our mission: to create exceptional experiences in Jewish living and learning for youth, adults, families and communities.